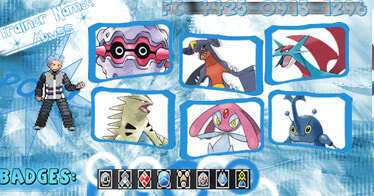 I can get any pokemon I want because I have pokemon modifire cheat for action replay ! I feel like a king ! P.S. I can't help all of the low levels because my rare candy cheat was different than my brother's and my cheat was the messed one . So you can get us any pokemon - but are they EV'd? You can't use these Pokémon in battles here just for you to know. wait you cant use these pokemon in battles? Hey don't double to triple post. Read the rules before posting. HAcked Pokémon are hacked and are not allowed.